This month, South African Airways celebrates its 85th Anniversary and we thank you for your support as we commemorate this amazing milestone. We would like to express our gratitude through your continued trust in serving you. 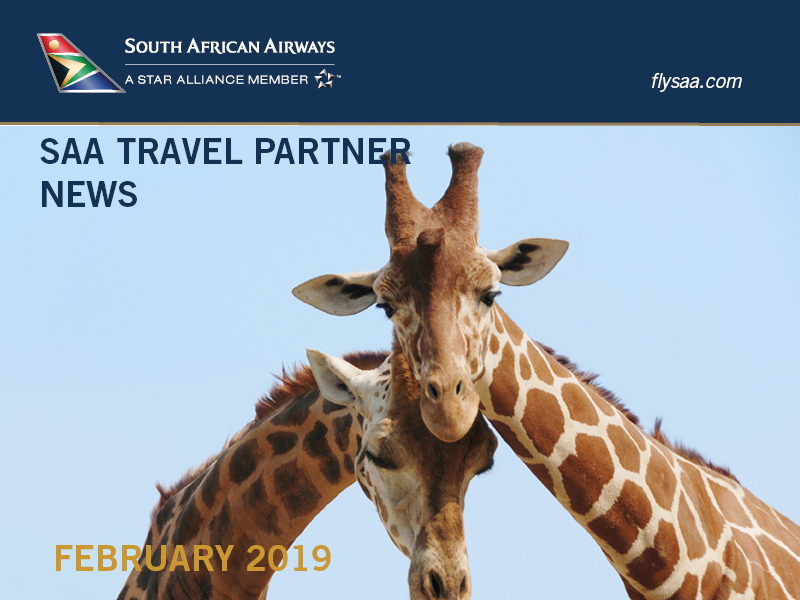 In February's SAA's E-News edition, we offer "Fall in Love with South Africa" specials to celebrate Valentine's Day with special low fares to Johannesburg and Cape Town. Additionally, for our valued travel and industry colleagues attending upcoming tourism events in South Africa, we're providing special fares to make your upcoming trips as seamless as possible. We're also proud to announce our new luggage through-check experience that will offer greater convenience for our passengers traveling with our partner airlines in South Africa and enhanced schedules for our airline partner, Airlink. For improved comfort, we invite you to enjoy our premium lounge experience and Advanced Seating Reservation System for all your upcoming business travel needs. We hope you enjoy this month's SAA E-News and as always, your business is greatly appreciated by all of us at SAA! 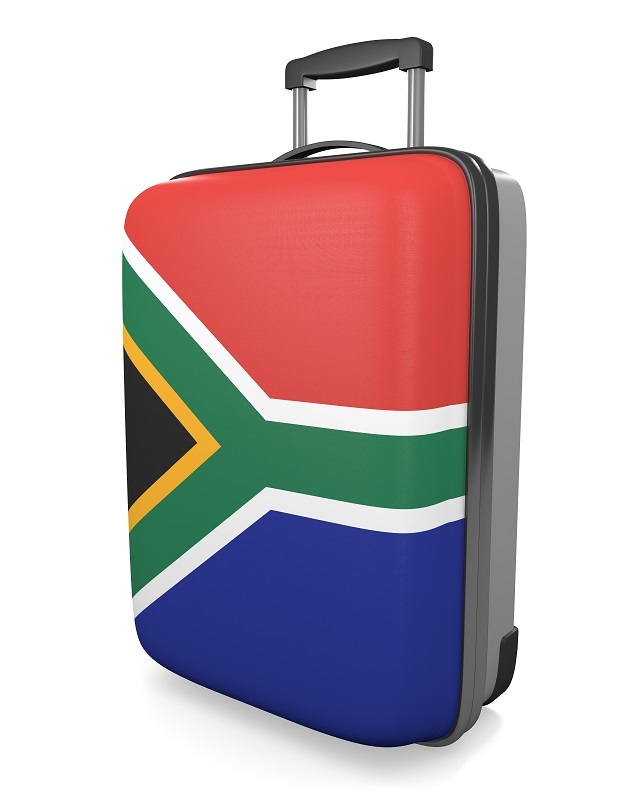 South African codeshare customers traveling on multiple sectors will be able to through-check their baggage to the final destination when booked on the SA code all the way, connecting between Mango, SAA and other codeshare partner operated flights. 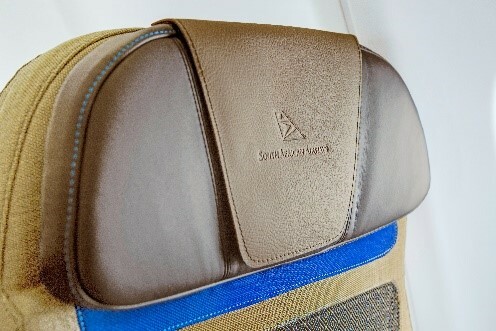 For reservations and information, customers should visit www.flysaa.com or contact South African Airways? Reservations at 1-800-722-9675 or their professional travel consultant. Located in the KwaZulu-Natal province, the coastal city is only an hour flight away from Johannesburg and two-hour trip from Cape Town. The bustling city offers luxurious hotels and beachfront entertainment with an atmosphere of a major port city. Overlooking the Indian Ocean, the sunny climate makes for a perfect year-round getaway destination for watersports, such as surfing, sailing and scuba diving. Whether traveling alone, or in company, we all have our seating preferences. With our Advanced Seat Reservations System, you can now choose that window seat, be certain you are seated with your family, or ensure that extra bit of leg room. For a small additional fee, the choice is yours. Learn More. 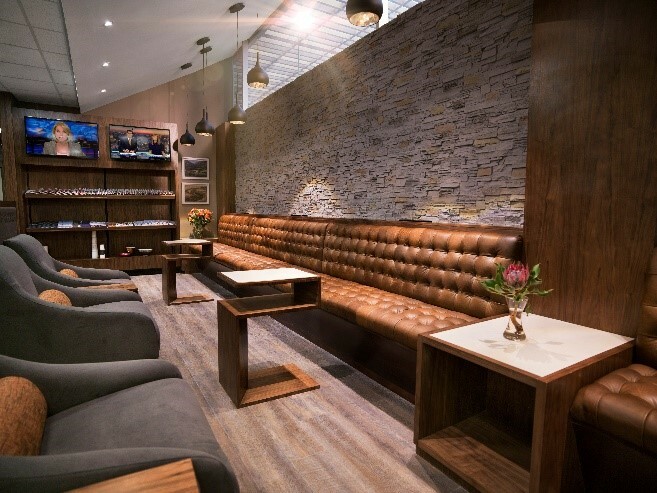 To ensure a seamless experience, we invite our travelers to come and enjoy our world-class lounges when traveling to or from JFK International Airport or Washington Dulles International Airport to our major hubs in South Africa. We also have the privilege of sharing lounges with our Star Alliance partners at airports where we do not have SAA owned lounges. Learn more. SAA is offering special travel trade fares to our travel and industry colleagues attending the International Luxury Travel Market (ILTM) on April 7-9, the World Travel Market (WTM) on April 10-12, We are Africa on May 13-16 all held in Cape Town. These special fares from $520.00* (restrictions apply) in Economy class and from $4,620.00* (restrictions apply) for Premium Business class is for travel roundtrip from New York-JFK airport and Washington D.C.-Dulles Airport to Johannesburg, Cape Town or Durban. For complete details on the travel trade fares Click here. 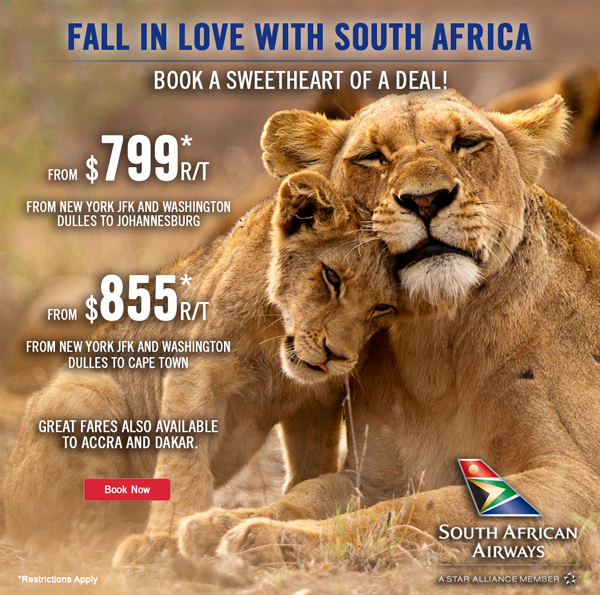 Fall in Love with South Africa Special Offer: *RESTRICTIONS: Fares are valid for roundtrip travel and include all government and airline-imposed taxes and fees. Valid for travel 4/1/19-5/31/19 (Blackout dates 4/16/19-4/30/19). The $799 fare is valid for travel from Washington Dulles (IAD) or New York (JFK) to Johannesburg (JNB). The $855 fare is valid from Washington Dulles (IAD) or New York (JFK) to Cape Town (CPT). No stopovers allowed. Fares must be purchased within 72 hours of reservation being made, or by 2/15/2019, whichever is first. Minimum stay: Must stay over one Sunday for fares to apply. Seats are limited and may not be available on all flights. Cancellations before/after departure: fares and carrier-imposed fees (YR/YQ/Q) are non-refundable. Date change fee: $300 plus any applicable fare difference. Administrative fees may also apply. Infant (not occupying a seat) discount - Pays 10% of the adult fare. Baggage and optional service fees may apply. Reservations made 7 days or more prior to scheduled departure may be canceled without penalty up to 24 hours after the reservation is made.